Jarrell Liner is passionate about three things in life: helping people live better lives, entrepreneurship, and real estate. In fact, Jarrell had his first taste of helping people combined with entrepreneurship at age 11 when he decided to start a home services business by taking the dishwashing detergent from the kitchen and the lawnmower from the garage. He walked around his neighborhood knocking on doors, convincing his neighbors to let him wash their cars or cut their grass. He hasn’t looked back since, and as an entrepreneur who has lived in the Houston area for the last 20 years, he is heavily involved in giving back to the community. Jarrell initially started Goodspire in 2014 as a motivational messaging platform that inspired and uplifted users to live their best lives. Through continuous growth and evolvement of the brand, it became evident that although words are powerful, there were not enough to truly change people’s lives in a powerful way. This is when Jarrell began searching for a way to be hands on, engaging, and impactfully change lives while also making a living…and then the real estate light-bulb went off. He thought to himself, what better way to empower families than through home ownership! Since that moment, Jarrell has built a foundation of integrity, trust, and knowledge that shapes the Goodspire Experience which he gives to each of his clients. As a full time real estate agent, Jarrell focuses on understanding the ever-changing and numerous intangible benefits of life in Houston, with its beautiful weather, amazing culture, and growing diversity. After attending Alabama A&M University, with a major in Marketing, Jarrell worked in the telecommunications and energy industries and has owned a media and transportation company. Jarrell committed himself to conquering the Houston real estate world in 2017. He discovered his love for real estate while in college after assisting his parents with the purchase of investment property. He became hooked and has always had an affinity for the industry. Today, Jarrell runs his own team, The Goodspire Group, with a primary focus on providing amazing service. His tagline “How Can I Move You?” is not just in reference to the act of helping clients move into a new home, but more importantly it’s about the white-glove service that clients receive from Goodspire. During every step of the home buying or selling process, Goodspire will “move you”. As your Realtor®, Jarrell will be an advocate for you. Whether you are buying, selling or renting, he and the Goodspire group will work tirelessly to promote your best interests and exceed your expectations. The home buying process is the most expensive and daunting transaction that most buyers will make in their lives, and the selling of a home is most likely the largest transaction that most sellers will experience in their lives. Jarrell understands this, and how this process can be very emotional. His goal is to be your guide through the terrain and to make the process as seamless and stress-free as possible. This is accomplished through honesty, integrity, constant communication, and a genuine want to empower each of his clients through home ownership. It’s about relationship building and adding value; our clients become part of the Goodspire family and this is what we base our success on. 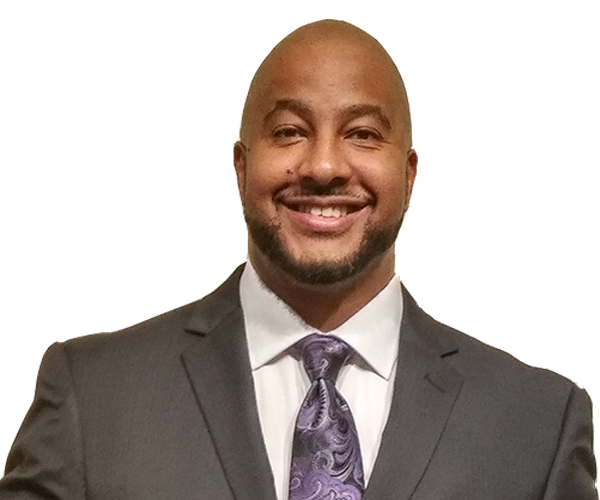 When Jarrell isn’t helping clients, he enjoys spending time with his beautiful wife Kimberley and their family, exploring new hotspots and restaurants in the city, and volunteering in the community.